CS-SUNN’S sensitization meeting with CSOs on the Agricultural Sector Food Security and Nutrition Strategy, ASFSNS (2016-2025). 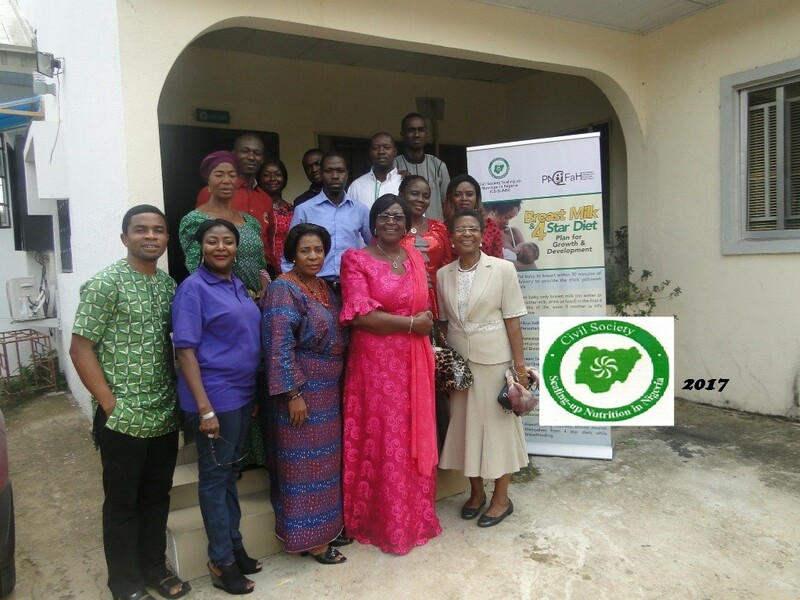 The Overall Objective of the ASFSNS launched on May 9th 2017 by the Federal Ministry of Agriculture and Rural Development is to improve the food and nutrition security of all Nigerians while empowering women and promoting resilience of the most vulnerable through sustainable agricultural livelihood. To incorporate food and nutrition considerations into the Federal, State and Local Government agricultural sector development plans. -Advocacy for the support of landless agrarian community households to establish small-scale agro-processing businesses with starter packs and training for threshing, milling, grinding or other processing activities. -Promoting positive attitudes with Nutrition education to promote the consumption of diverse diet at home, community, schools and workplaces. *Promoting healthy meals in community, schools, workplaces. Mrs. Lizzy Igbine of NIWAAFA and CS-SUNN’s Communication’s Officer Lilian Ajah-mong showcasing The ASFSNS 2016-2025 Participants were drawn from Pat Mgbo Initiative, MWAN, CRYEED, Heal the Youth Foundation, ACSEI, Sam Empowerment Foundation, The Paul’s Mission INC, NIWAAFA, B.H.C.F among others.